The following has not been operational since 2008 but will resume operation soon. Fill out the form if you can volunteer to help! 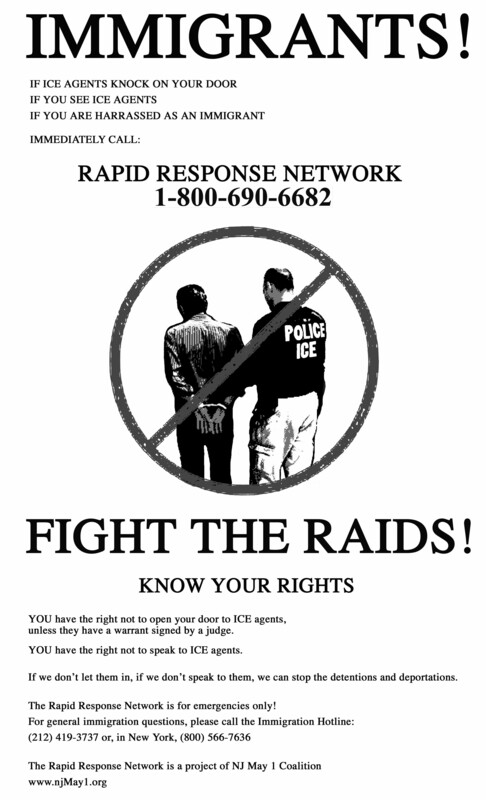 In response to widespread immigration raids, a coalition of immigrant rights activists is launching a Rapid Response Network Hotline that will give help to those confronted with the raids. The RRN Hotline, sponsored by the Movement for Socialism, and NJ May 1 Coalition is a 24-hour toll free number covering New York and New Jersey that will provide immediate, contact with Spanish-speaking volunteers. 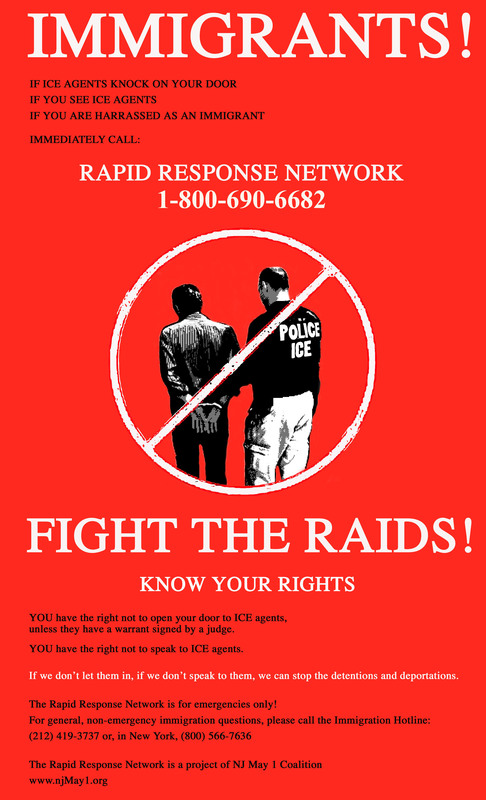 In the event of a raid, the volunteers will calmly inform callers of their basic rights, especially the right not to admit the Immigration and Customs Enforcement (ICE) agents to their homes without a warrant signed by a judge and the right to remain silent. The hotline number, for emergencies only, is 1-800-690-6682. Other groups are invited to become supporters and sponsors of the RRN. The RRN will be most effective if it becomes an initiative of the broader immigrant, civil rights and labor movements.